All my Cakes are delicious and moist, baked fresh from scratch... Using premium Quality Ingredients. I do not use cake box mixes or cakes previously baked and frozen. Mentioned below are some of the popular flavors that I have to offer. 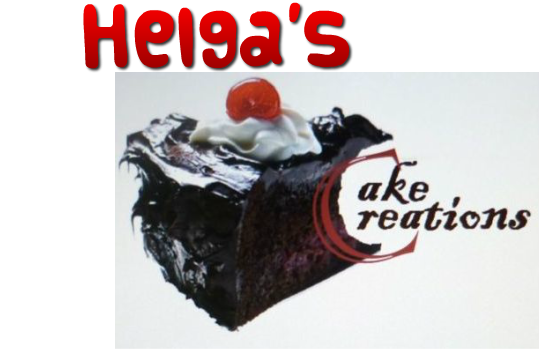 Apart from the flavors listed below I would be happy to create for You a cake with a flavor / filling of your choice. A Rich, Dark Chocolate Cake filled with Homemade Vanilla or Chocolate Butter Cream. A Rich Buttery Cake filled with Homemade Vanilla or Chocolate Butter Cream. The Traditional Sponge Cake filled with Homemade Butter Cream (your choice of flavor) or Fresh Whipped Cream with your choice of seasonal fruits. A Dark, Rich and Moist Chocolate cake filled with White or Dark Chocolate Ganache or Chocolate Truffle. A Rich Fruit Cake made using dry fruits soaked the traditional way along with a hint of spices. These cakes are best made much in advance and stored well. For Weddings these Cakes can be made in tiers and covered in marzipan and icing and decorated to your choice. NOTE: This Fruit Cake contains Alcohol. An Extra Moist Cake with just a hint of chocolate flavor and deep red color, filled with a delicious creamy Cream Cheese Filling or a Butter Cream Filling. A Rich, dark, Moist Cake filled with Fresh Whipped Cream and Fresh Cherries and Sprinkled with Chocolate. A Rich and smooth Frozen Dessert made with Rich Mascarpone Cheese resting on a Crispy Buttery Crust. Can be made with your choice of Seasonal Fresh Fruit filling. A Rich cake having layers of the colors of the Rainbow filled with Homemade Butter Cream or Cream Cheese. A Rich and smooth Frozen Italian Dessert typically made from ladyfinger pastries (Savoiardri biscuits) , expresso coffee and Mascarpone Cheese. The name "Tiramisu" means "pick-me-up" and this certainly will. This Dessert will make your mouth water in no time! !